How might we deepen our understanding of NCTM’s teaching practices? What if we team to learn and practice? For our first session of Embolden Your Inner Mathematician, we focus on Subitizing and Number Talks: Elicit and use evidence of student thinking. Let’s pay attention to the whole child. Content is mission critical, but so are disposition and efficacy. What if we learn more about our students disposition to support the social/emotional well-being of our mathematicians? How might we elicit and use evidence of student thinking to understand assumptions/beliefs about learning math? To learn more about cultivating exploratory talk, read #TMC14 GWWG: Talking Points Activity – Cultivating Exploratory Talk through a Growth Mindset Activity. 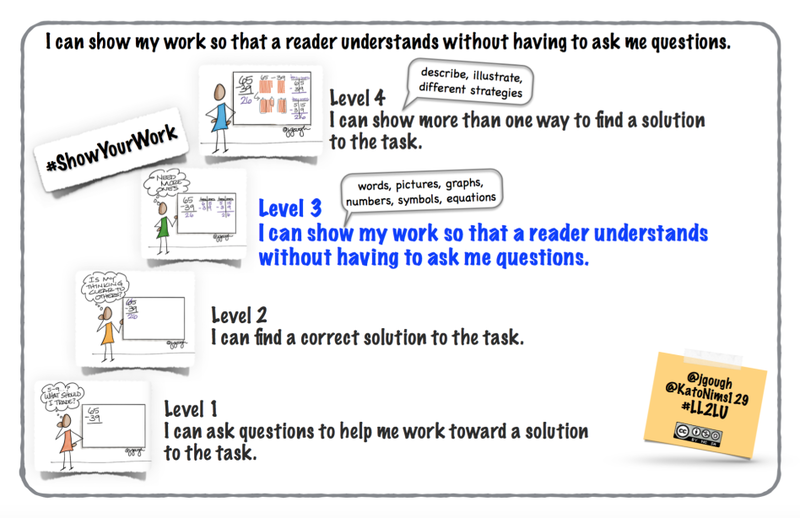 What is we use powerful tools to elicit student thinking? How might we learn about students to deeply understand them as mathematicians? And then, what actions do we take to ensure mathematical success for all?